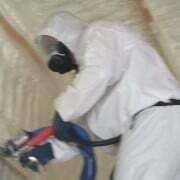 A crucial part of wet basements repair often is mould removal. This is particularly true if your basement was subject to a disaster such as the type that hit New Orleans in 2005. Many basements were left in standing sewage water, which caused the growth of all kinds of toxic mold. The same thing happened in Florida in 2005 and 2006 as well. The water doesn’t have to be contaminated with any kind of sewage to grow mold on and behind all of your walls and inside your foundations. Mould removal can be necessary just one or two days after a flood. 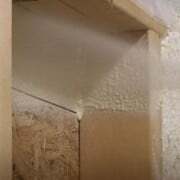 The longer that you leave mould removal the more difficult and expensive your wet basements repair is going to be. Professional mould removal experts say there are four steps to the mould removal process. The first step is to contain the mould to prevent it from be spread to uncontaminated areas. The second step is to kill the mould. The third step is to remove the dead mould and the fourth step is to treat the area so that mould will not grow there again. After a big flood, a professional best handles wet basement repairs that involve mould. 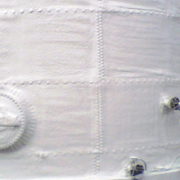 You need to hire a professional Mold Contractor or Certified Mold Remediator. These types of wet basements repair experts are trained to take twenty five prescribed steps to remove mould from your home for good. 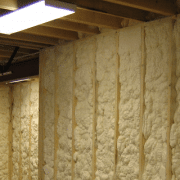 These guidelines for mould removal have been developed as the industry standard by the U.S. Environmental Protection Agency. A professional contractor can usually remove mold from anything including drywall, plaster, plywood, and ceiling tile, as well as bricks, blocks, and poured concrete walls and floors. How do you know if you have mould? According to the U.S. Environmental Protection Agency you may suspect hidden mold if a building smells moldy. The mold itself does not have to be visible. There is also likely a mold problem if the building’s residents seem sick and the building has a history of flooding. 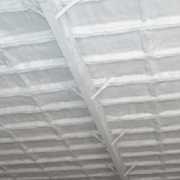 Mold may be hidden in places such as the backside of dry wall, wallpaper, or paneling, the topside of ceiling tiles, the underside of carpets and pads. 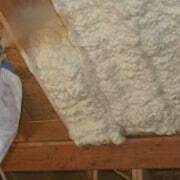 Other possible locations of hidden mold include the walls around pipes (especially if the pipes are leaking or there is condensed moisture on them), the surface of walls behind furniture (where condensation forms), inside ductwork, and in roof materials above ceiling tiles (due to roof leaks or insufficient insulation). Basement bathrooms are a notorious source of harmful mould. There are also other causes for that big wet basements repair bill in your future. Aside from recurring flooding wet basements and the mould that often accompanies it can also be caused plumbing leaks, leaky roofs or siding, blocked air-conditioning condensation drain lines, and high indoor humidity. Usually it is easy to diagnose the source of the water by yourself but sometimes you get a mystery pool of water or flood that seems to have no apparent cause. In that case the cause is most likely to be hydrostatic water pressure building up in the soil outside your foundations. This water builds up and causes pressure to be applied to your wall. It also makes them very damp and prone to growing all kinds of mould including the deadly black mold that can damage the nervous system. If you suspect black mould the best thing to do is leave everything that you own and move right out of the place. Try not to bring anything that might be mouldy with you. You would then need to inform the city, your neighbors and also a mould removal expert who will be able to advise you whether or not you can remove it. Getting black mould is similar to cancer. Sometimes entire sections of the house have to be removed to fix the problem. At other times the house simply become inhabitable if the damage is bad enough.